Demure tulle ball gown with a V-shaped neckline, spaghetti straps, and a chic cross-over neckline illusion. 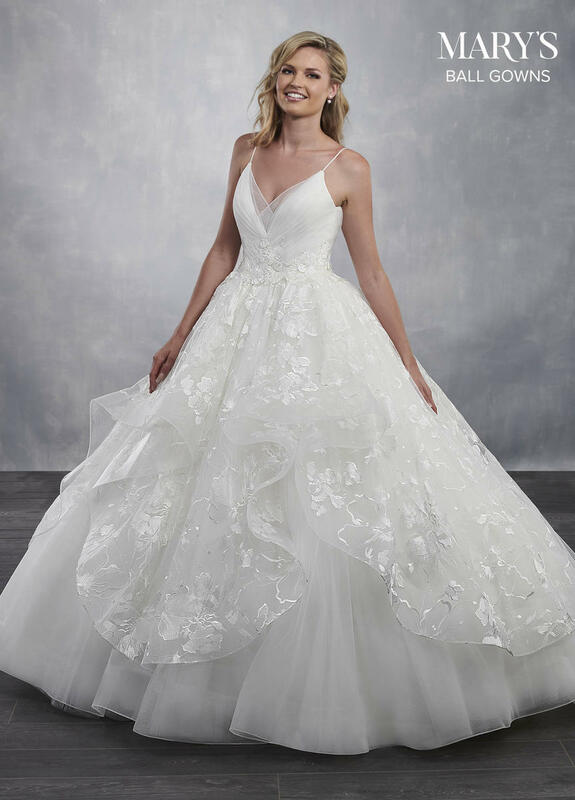 The bodice and skirt feature an embroidered tulle overlay accented with delicate 3d flowers. The skirt finishes with a lace-up back closure, sweep train and a matching tulle bolero jacket.